Are you a "Rugby Wife", significant other, family member or friend looking to support and cheer on the Rebellion? Then it's time to become a RugBAE™! Local RugBAE™ supporters are invited to volunteer their skills and talents on and off the pitch, and are eligible to vote in Board elections & serve on the Board. Cheer on the team and help make this a winning season! Free admittance and discounted/free beverages at our Third Half drink ups, Ruggerbusts and End of the Season Party held at the Eagle Los Angeles. Exclusive invitations to other team social events. Receive a Rebellion Membership Card good for discounts with our sponsors! Opportunities to join the team at regional and international competitions. 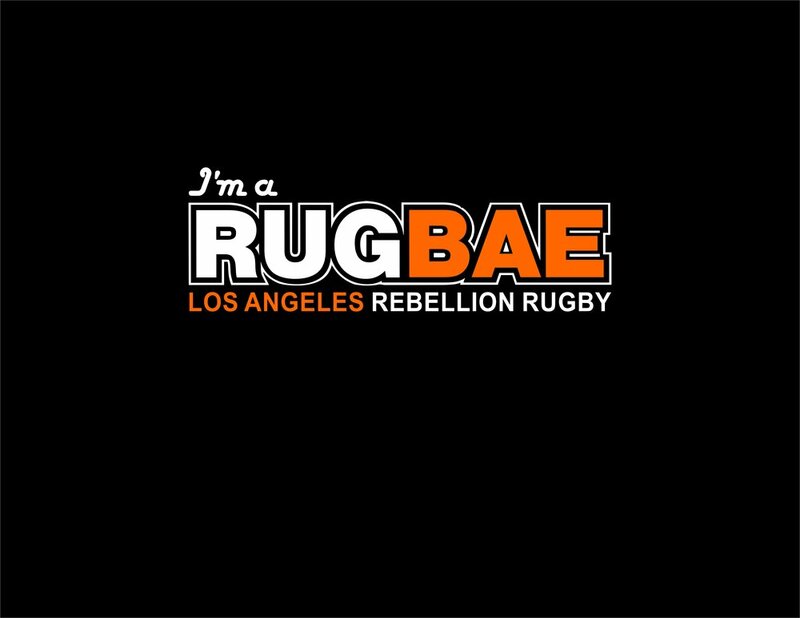 Upgrade to our $75 Premiere Level & receive a free RugBAE t-shirt! Membership perks are available locally for pick-up at any Rebellion event; for non-local supporters, we will contact you for shipping information. © L.A. Rebellion R.F.C., Inc.